In 2009 we incorporated TRUE NORTH TREKS (TNT) as a national nonprofit organization that supports teens and young adults with cancer through Skills Training, Advocacy, Resources, and Support (or with some guidance from the STARS as we like to say). Unlike grid north or magnetic north, True North is marked in the skies by the position of the North Star. For centuries True North has been used for celestial navigation by seafarers and explorers to help them determine their whereabouts and cross featureless oceans without having to rely on random chance. Drawing on this powerful metaphor of guidance and direction, TNT helps young adults with cancer get connected again after the very disconnecting experience cancer creates at this age. 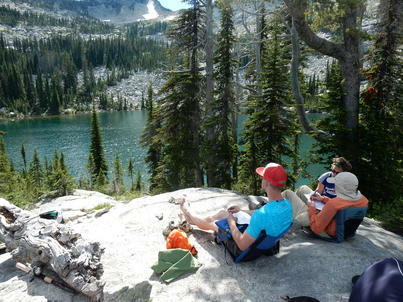 One of the primary ways that we fulfill TNT's mission is by taking groups of young adults and caregivers from across the United States on free backpacking and canoeing treks in beautiful backcountry wilderness destinations where they can connect with nature (after going through something as un-natural as cancer treatment), connect with peers who have been through something very similar, and connect with themselves through training and practice in mindfulness meditation and yoga. TNT also provides free, long-term health promotion support for all of their alumni when they return, free meditation and yoga classes at Northwestern University's Robert H. Lurie Comprehensive Cancer Center, and grass roots advocacy efforts to educate others at the policy level. TNT's treks are free, and participants are asked to help “Pay it Forward” to a future participant by pledging to raise money through peer-to-peer fundraising. Over the past several years TNT has become internationally recognized for the powerful and enduring support services and life skills it provides young adults with cancer and their caregivers. Feeling very confident in what we do and our ability to transform the lives of young adults with cancer, we have also learned many things over time that have added significant value to our organization. For example, early on we included canoeing treks to our backpacking-only model, which opened many doors to those who were more physically deconditioned from treatment and side effects and would have an easier time paddling down the river vs. carrying everything in a large backpack. We started offering survivor/caregiver treks in addition to survivor-only ones, because caregivers wanted to be a part of the growth and transformation they observed in their partners. Finally, we began complementing our traditional week-long trek model with a “mini-trek”, which occurred over a long weekend (Thursday afternoon – Sunday morning) at a beautiful retreat-style lake house that was “close enough” to nature, but not necessarily in the backcountry wilderness. We did this because we came to realize that we were only able to reach a small percentage of eligible participants through our week-long treks. We have learned that there are many individuals who cannot (or do not want to) leave family, school or jobs for an entire week and/or be away from many of the creature comforts of their lives (e.g., going #2 in a hole for a week). We knew that for those who do apply for a week-long trek, disconnecting and reflecting in this way is greatly appreciated and revered. However for others who might still love the outdoors and have a genuine desire to practice meditation and yoga with their peers, but ultimately do not apply because they can’t take off a week from work, school or family, or they just aren’t interested in “roughing it” at this level, we had limited the accessibility of our services. Also, because we were restricted in the number of treks we could offer each year due to backcountry permit constraints, some applicants had to be put on a wait list and might not get to go until the following season(s). Therefore, while our week-long model has helped to establish tremendous proof of concept and validation of our services, we knew that only delivering treks in this way would ultimately impede upon our programmatic impact to reach as many participants as possible. Prior to adding a long-weekend “mini-trek” experience to our operations model, we wondered if it would offer enough depth and substance to be as transformative as our week-long treks in the backcountry. We also wondered if having a retreat-style home base might take away from what a remote, backcountry experience brings. We have been very pleased to observe that the mini-trek actually parallels many of the same qualities of our week-long treks. 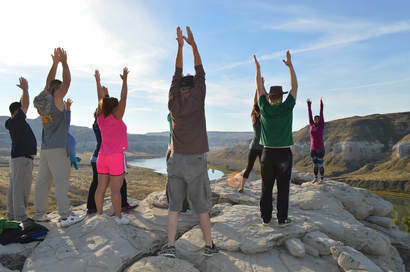 We see very similar kinds of deep peer-to-peer connections taking place between participants, similar levels of engagement with the mindfulness and yoga curriculum, and similar comments about feeling more at peace and restored from being in nature, just like we see on the week-long treks. While “mini-trek” participants never actually have to truly “fast” from certain creature comforts of modernity (bed, bathroom, etc.) and aren't able to experience the exact same kind of “deep cleanse” that our week-long participants often talk about, overall they get to experience a great deal of this and many are now gearing up to take part in a longer week-long trek when they can. One of the biggest unanticipated benefits of the mini-trek has been that it helps make this opportunity more accessible to participants with more significant medical or physical needs. For example, one participant said that while she would have loved to have gone on a week-long trek, she wasn’t able because she requires a daily medication that needs to be refrigerated, which she was able to do on the mini-trek. All in all, our mini-trek experience created a significant light bulb moment for us as an organization, which has helped us see where and how we have the potential to diversify the delivery of our programming while staying faithful to the core components of our treks and philosophy. We knew what we had to do: find our very own beautiful wilderness retreat facility, which would enable the exponential access and growth of our programming, services, and impact to the 2,000,000+ young adult cancer survivors and the people who care for them. By serving incrementally more people, we would not only increase our “pay-it-forward” pledge sustainability funding, but also increase our chances of forming relationships with other like-minded supporters who believe in what we do. Having an actual physical space and place that people go to would create a larger, more definable, and tangible identity and purpose for others to better understand what we do. And this understanding has tremendous downstream implications for our establishing an endowment, attracting new philanthropic opportunities and partners, friend-raising, media promotion, etc. Beyond the seismic programmatic impact this would have for the people we serve, it would also amplify and diversify our international recognition, sources of funding support, and long-term sustainability potential. We would call the proposed retreat facility the TRUE NORTH TREKS WALDEN Institute. As you may know, Walden is the name of the pond where in 1854 the transcendentalist American writer Henry David Thoreau built his cabin and spent two years, two months, and two days reflecting in the woods on simple living, self-discovery, self- reliance, and the relationship between civilization and nature. Beyond this metaphoric association with the importance of getting back to our roots, for TNT, WALDEN also literally stands for “Wakeful Awareness in Life through Discovery and Encounters in Nature”, which is exactly how we help the people we serve. We conducted a market analysis based on current locations of similar retreat-style lodges and centers across the United States, including cost of land, cost of living, accessibility to major cities and airports, and proximity to university-based medical hospitals and cancer treatment centers. 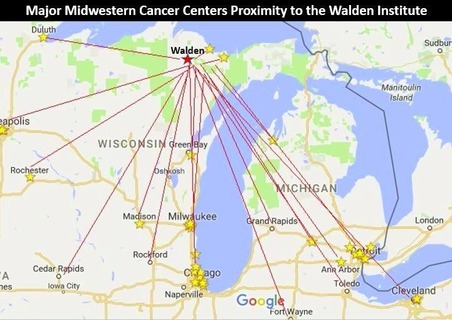 While no other retreat facility exists to accomplish exactly what we have set forth with the WALDEN Institute, our initial analysis of similar retreat-style facilities indicated that the West Coast, Mountain Region, Southwest, South, East Coast, and lower Midwest regions are all very saturated with similar retreat-style facilities. One of the only untouched regions in the US without similar facilities, that has vast amounts of unfettered and affordable pristine wilderness, is the Upper Peninsula of Michigan, or the UP. 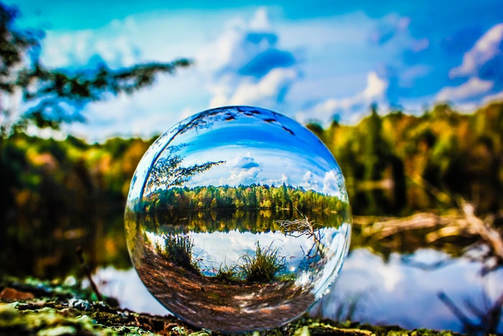 Over 85% of the UP is forestland, which is bordered by three Great Lakes and contains some 4,300 inland lakes, 12,000 miles of streams, 1,700 miles of shoreline, and over 300 waterfalls. The UP offers some of the top natural attractions in the Midwest, including Isle Royale National Park, Pictured Rocks National Lakeshore, Porcupine Mountains Wilderness State Park, and Tahquamenon Falls State Park. The UP is also quite accessible via multiple modes of transportation to major surrounding cities with university hospitals and large cancer treatment centers (e.g., Chicago, Detroit, Marquette, Milwaukee, Green Bay, Madison, Twin Cities), and the cost of land and living are among the lowest in the region. In fact, the UP was recently described by the Lonely Planet’s “Best in Travel 2017” yearbook as one of the world’s 10 best value destinations, and was the only US destination mentioned, in the ranks of Nepal, Venice, Belize, and Morocco. Once we knew where to look, our search took us to several different wilderness properties for sale in the UP that were located within an hour's drive of Marquette/Sawyer International Airport. These Northern Lights properties were densely populated with a variety of hardwoods, conifers, and an abundance of wildlife, including deer, moose, bald eagles, loons, ducks, owls, black bears, and wolves. As we explored available properties, we also enlisted the volunteer support of some incredibly bright, talented, and big-hearted architectural design students from the School of the Art Institute of Chicago (Louisa and Klaire) who helped us to create, clarify, and prioritize our overarching goals and values of the facility. In a nutshell, we wanted a space that embodied the heart and soul of TNT’s mission in its form, function, beauty, design, layout and location. To operationalize this, they helped us create a list of descriptors, which included: quiet, remote, simple, based in nature, peaceful, open, minimalist, efficient, beautiful, natural light, Zen, inspiring, renewing, restorative, small footprint, healing, non-intrusive, leave no trace, calming, eco-friendly, fellowship facilitating, "Wow" factor, slow design, and contemplative. As we discussed the overarching values, we also spoke about the facility’s intended function and what it needed to be capable of doing. 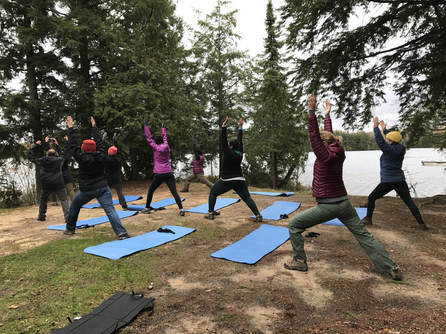 This included having sufficient bandwidth to accommodate large groups of cancer survivors and caregivers who could stay onsite for a number of days to engage in yoga, meditation, food-as-medicine activities (e.g., farming, demonstration/teaching kitchen), and encounters in surrounding nature. This meant the facility would need to comfortably sleep, feed, bathe and serve numerous guests for multiple day visits. Having a dedicated yoga and meditation space within the facility was an important functional value given the centrality of these practices in our services. Another functional value was that it have ample interior space, not only for dining, sleeping, bathing, and engaging in meditative activities, but also for un-programmed leisure time, whether it was to converse with others, find a quiet place to read a book, or simply drink a cup of hot tea. We were also interested in the facility being able to cultivate as much of its own food as possible, therefore having a small organic horticultural farm was very important. This way, guests could learn about the entire food cycle, from planting through harvesting, and truly have an opportunity to “get their hands dirty” in some way. Beyond growing and eating our own fruits, vegetables, etc. on site, the facility would also support a demonstration/teaching kitchen for guests to learn about “food as medicine” and ways to cook healthy meals so that when they return home they will have increased knowledge and confidence in this essential skill. In line with this, we wanted the facility to be located on an abundance of pristine wilderness acreage (e.g., hundreds of acres) on or near a water source (e.g., lake, river, or stream) so that we might harvest fish and recreate using non-motorized watercraft (e.g., kayaks, canoes). Finally, the facility had to be easily accessible by multiple means of transportation (e.g., car, bus, train, and airline) and located in an “unsaturated” geographical location (e.g., no similar places in the vicinity). Above and beyond the aforementioned primary values and functions, we also envisioned this facility as serving the larger community in different ways. This could include serving as a living experiential laboratory for partnering high school and university students and faculty from across the country and world to come and conduct fieldwork and research on cancer survivorship and renewable energy and horticulture, the role of nature on health and well-being, etc. Finally, beyond directly serving cancer survivors and their caregivers, we also envisioned this facility being used for occasional fee-based, mindful leadership trainings or yoga/meditation retreats to non-cancer groups as a means of generating a non-philanthropic revenue stream to support TNT programs and staff. The first time TNT Founder David Victorson met with Vince Foglia to tell him about their organization, he walked away from their meeting with a small, red hardcover book called "The Go Giver", which Vince had given to him and asked him to read. This book is a modern-day business parable narrated by a bright and ambitious young salesman named Joe who is eager to do what he needs to do in order to climb the corporate ladder of success. Through a series of fortuitous events he is introduced to a wise, enigmatic and highly likable mentor known as The Chairman. Rather than help Joe snag a fast sale, he introduces him to a series of "go-givers" who personify the "Five Laws of Stratospheric Success" all of whom teach Joe the one thing that each of them has discovered to be responsible for their greatest successes in business and in life: putting the other guy first, be it a colleague, competitor, customer, friend or family member. In his business career as Founder, Chairman, and CEO of SAGE Products (now Stryker), Vince and his colleagues achieved stratospheric success, not only as one of the most successful medical patient hygiene device companies in the United States, but as one of the best places to work in the country, year after year. The stratospheric success didn't stop when he retired, nor did his "Chairman" ethos, as The Foglia Family Foundation has become one of the biggest philanthropic "Go-Givers" to numerous charities in the Greater Chicago area and beyond, where they have focused their giving around youth-supporting organizations, health, education, human services, and the arts. We shared our vision and "Go-Giving" plan for TNT and the WALDEN Institute with the Foglia Family Foundation and to our incredible surprise and delight, we were all traveling to potential properties in the UP to look at them firsthand together as a team. After we found a very special Frank Lloyd Wright-inspired property on Lake Superior it wasn't long before the Foglia Family Foundation helped us make this dream a reality, putting us on our own path of paying forward stratospheric success to everyone we serve. 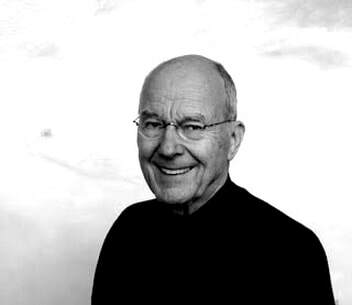 John Lundeen is a Finnish-American artist originally from Wisconsin. This property on the rocky shore of Lake Superior has a history that goes back to John's college years when he earned his way through school in various construction management positions, ultimately, earning an MFA at the University of Wisconsin. After graduation, John continued to work in the construction industry, managing architectural design and construction companies for nearly 30 years, before retiring to Au Train, Michigan. By chance, perhaps luck, after graduation, John was given the chance to estimate the cost of a 6-story apartment building designed by Herbert Fritz Jr, whose father was one of Frank Lloyd Wright’s original five draftsmen in Spring Green, WI. Although John was only 27 and competing with the largest contractor in Madison, he was hired to build the project. This was the beginning of a working relationship with Herb Fritz that expanded to include two more multi-story structures, twenty homes, including two for John and his wife Char, four office buildings and five hundred and forty apartment units for seniors. In 1980 John and Char began their search for the ideal Lake Superior property. The goal was to find land which was visually separated from neighbors and away from highway traffic noise. Additionally, the land needed to be heavily wooded and have a rocky shoreline. They began in Superior, WI. and continued eastward, exploring every road that lead to the lake. Their three year search covered nearly the entire southern shore of Lake Superior. Arriving at the roadside park in AuTrain, MI with a view of AuTrain point it was clear this had potential. Excited, they looked for access, following Koski Road to the end, then walking in through the gate to explore. The land was exciting, but twenty times larger that what was searched for, completely undeveloped, and not for sale! They contacted the owner with the hope to buy a small portion. After clearing a series of road blocks, rumors, and false starts over another year and a half, 146 acres and 2400 feet of frontage was purchased. Initially a “primitive” weekend retreat in the woods was built with the help of three generations of family. No electricity, no well, wood heat and cook stove and access by a rugged 3/4 ton pickup. Outhouse, “in the woods”. Over the next two years with weekends and vacations in May and September, the property was slowly developed. A two ton “Cat” loader was purchased in Milwaukee and trucked to AuTrain. The driver delivering the loader showed John how to start the machine and it quickly was put to work building a road. Three years after building the cabin, it was destroyed by a wind storm. When the cabin blew down John and Char, again with family help came to clean up the mess. Rather than staying “in town”, a 12’ by 12’ by 8’ box with a “patio door” was put together for shelter. That was eventually dragged to its current location and with rooms added, became the “Casita.” Standing on the shoreline, ready to return to the city, John and Char talked about rebuilding the cabin. This conversation didn’t last long. It became obvious to both that another cabin was not the answer. They called their friend Herbert Fritz to talk about building a new home. Herbert Fritz Jr. had a lifetime connection with Frank Lloyd Wright. Herb began working for Wright as a chauffeur, driving him around town in Wright’s Lincoln convertible when he was 16! Herbert later completed the Taliesin fellowship architectural program and became a practicing architect. When the AuTrain house plans were complete and permits secured, Ty Fritz, Herbert’s son came from Arizona to AuTrain for the summer with his wife, Jan, their three children and two of his trusted tradesmen to start the project. They stayed on site until the September school start in Arizona, and repeated this schedule the next two years. After the third summer working with Ty, John quit his job and moved to AuTrain and began the finishing details, installing cabinets, hardwood flooring, building entry doors, finishing stone work and other details while Char stayed in Madison, to sell the house and coming to AuTrain on weekends to help. By the end of 1995 the house was ready to occupy. The house is what it is, because John and Char pursued a shared dream with stubborn determination and refused to compromise design detail or construction quality. It was built without contracts and perhaps irrational confidence that it could be completed. It was meant to be.